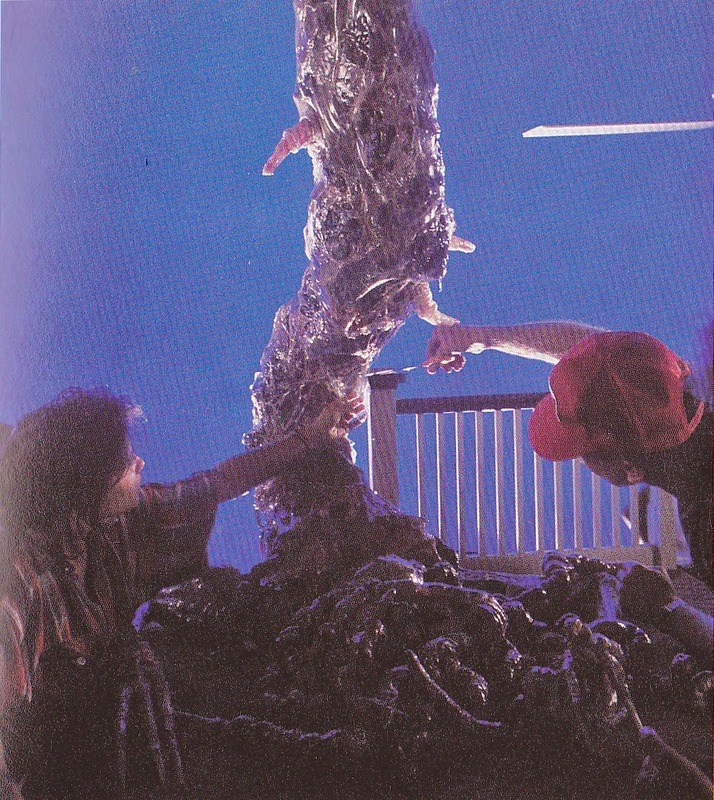 During the time of the Aliens production, Giger found himself involved in the creation of a demonic Gorgon like creature referred to as "The Great Beast" in Poltergeist 2. 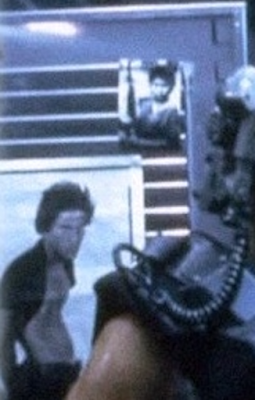 Brian Gibson, a director who made his name through through his film about the post-punk movie Breaking Glass who would direct Poltergeist 2 knew Giger from his earlier attempt at making the film The Tourist. John Bruno the special effects art director was familiar with Giger's work, he found very dark, demonic and got to him on the level of the subconscious and so he was keen to meet him. Three weeks later, Giger and his manager flew out to LA, the contracts were drawn up in one afternoon, and he was given the money which he thought was important since he was broke. 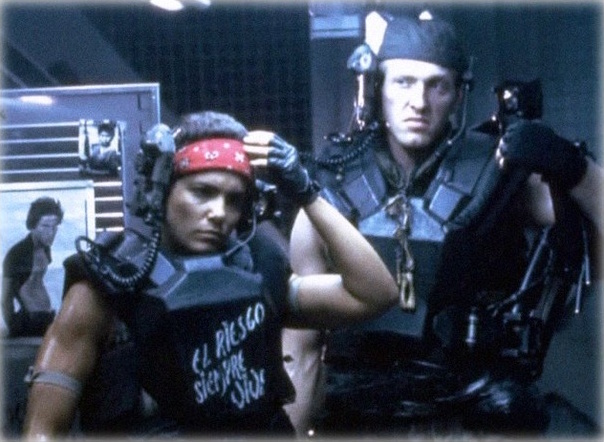 The writers Mark Victor and Michael Grais, and they were imagining a story in which Giger could use his talents. 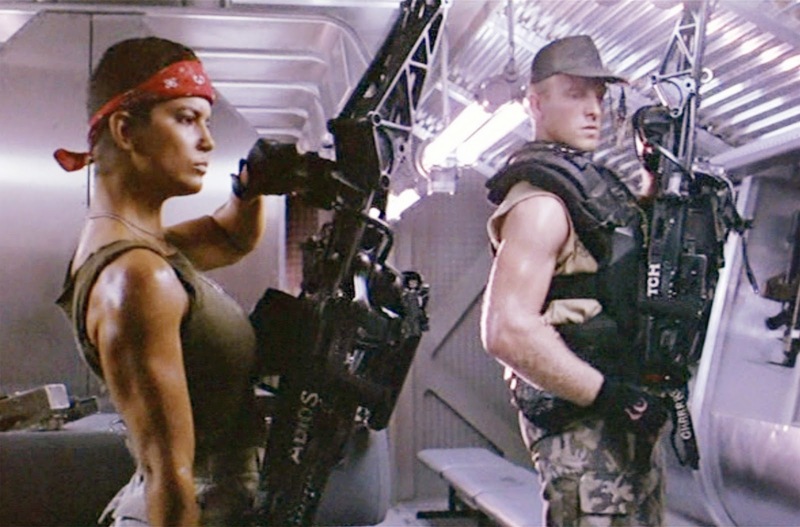 Before his arrival Giger slowly realised that this movie was not the right movie for him but he thought that he would have enough strength to change the situation. He was promised a lot of freedom and so from his view, these promises were made just to seduce him. understood at one point how the great beast's body was structured. 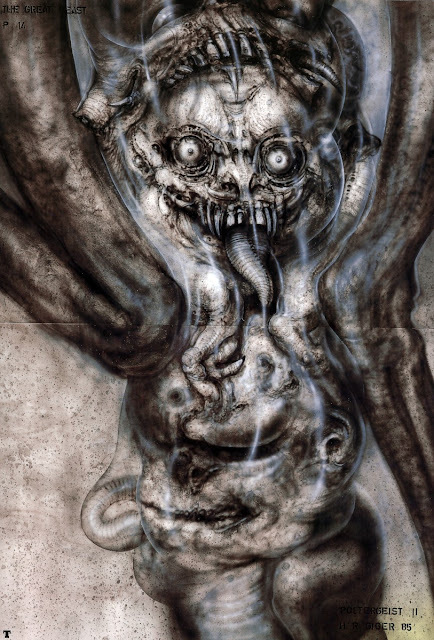 Shortly after Giger returned home, he began to sketch ghosts and ever time Brian Gibson came to visit him, Giger would have an airbrushed picture ready for him. Back in those days, there was no fax machine and so it took quite a while for Giger's sketches to reach LA. However most of the people there could hardly make out what his sketches were supposed to represent. 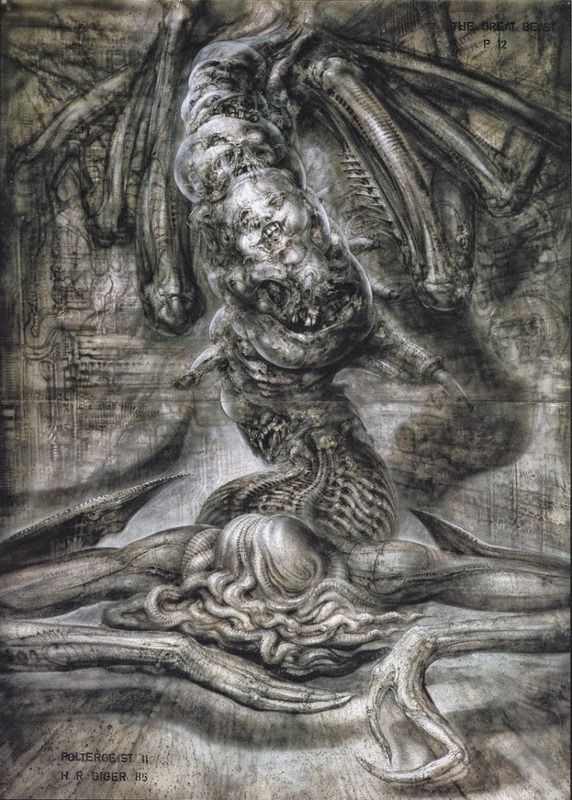 It got to a point where Gibson began to ask why Giger's drawings were in a vertical format if the film was being made for wide screen, and Giger's response was that Gibson could film his ghosts diagonally. 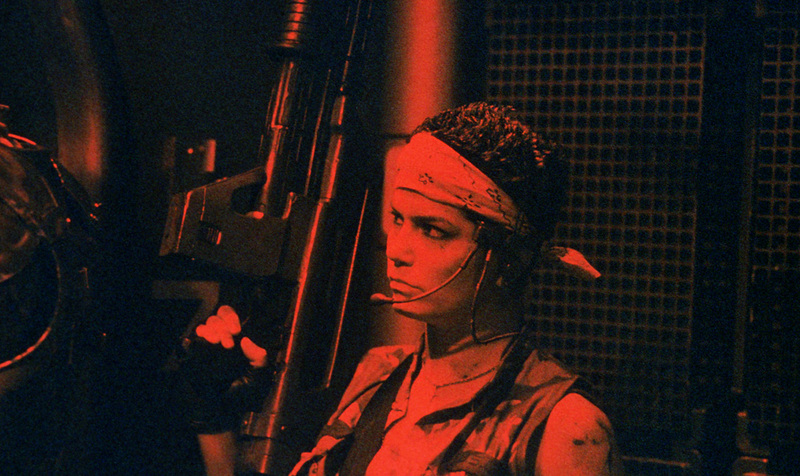 To Giger it seemed as if Gibson knew nothing of special effects. 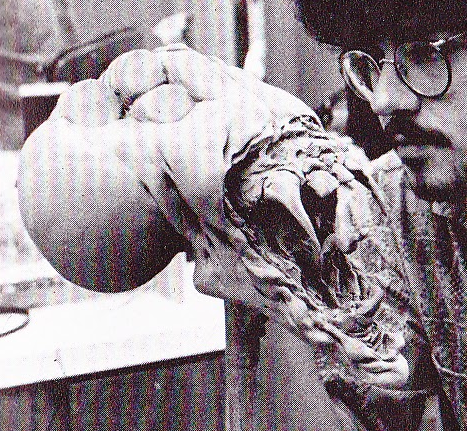 Cornelius De Fries (known as Connie De Fries) was hired by Boss film to represent Giger at the studios, as Giger himself didn't want to leave Zurich for months at a time anymore. 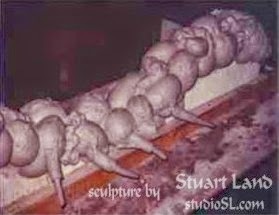 Every time everyone in LA finally came to an agreement on Giger's sketches, he air-brushed it and then had it photographed. The procedure took a week although Giger worked day and night. Before Cornelius De Fries arrived, the sculpting team were already sculpting but interpreting the artwork in their own way. 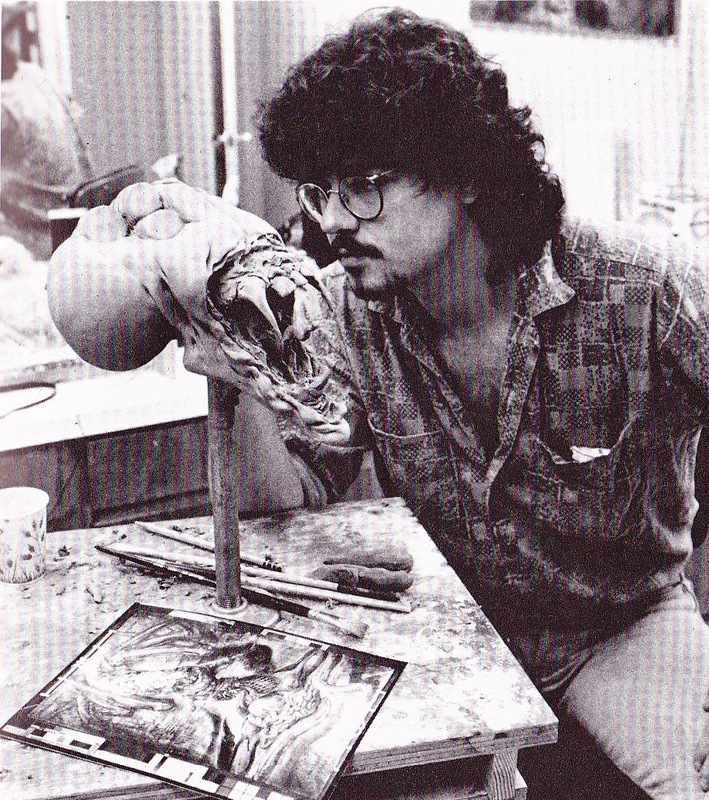 But even though he was present and as far as they understood was there to make sure that they followed Giger's designs, and sculptors such as Stuart Land who sculpted the great beast out of water clay were sure that they were working to his specifications and he didn't like what he himself was doing then or any time from then on. If the designs came out out wrong the sculpting team understood that the onus would have been on Cornelius De Fries for either the directions he was giving or the design changes that he approved. 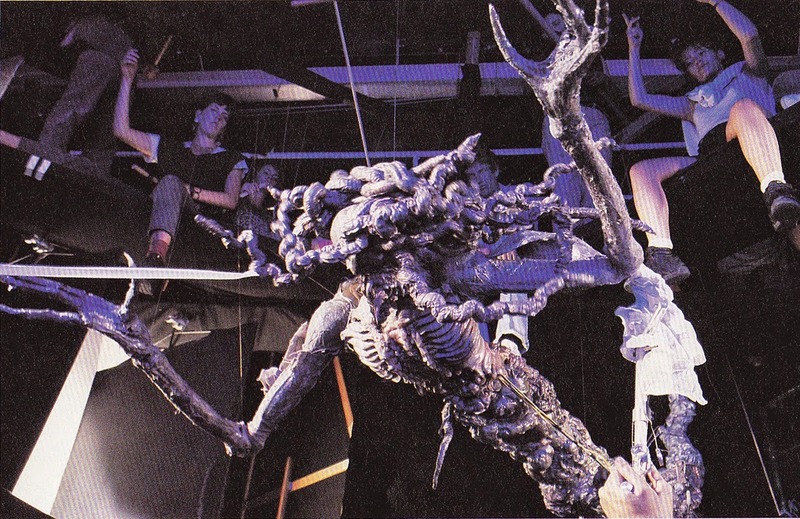 However De Fries could not get an actual labor permit and so was not actually allowed to contribute to the actual construction of the actual models and was restricted to constructing small scale models based on Giger's drawings. 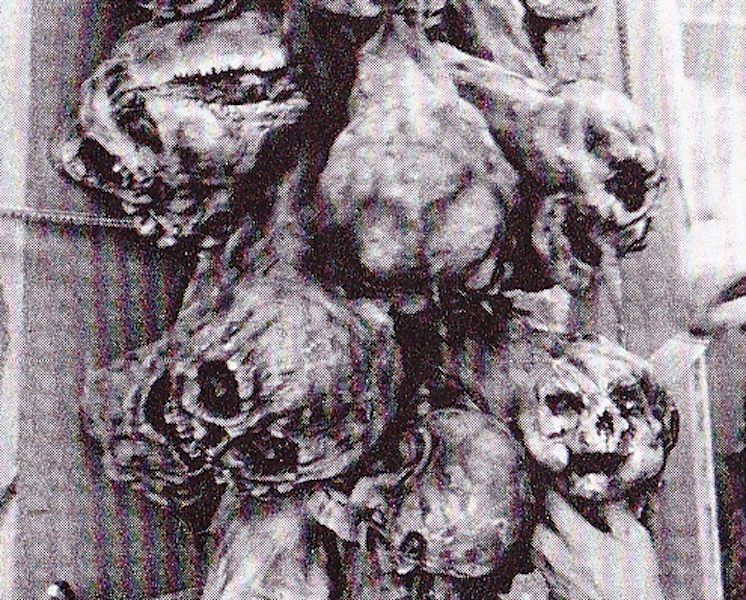 But what De Fries did inspired Steve Johnson enough who admired the difference of De Fries' style of sculpting as he has sculpted a lot of the heads of the doomed souls on the great beast. His style, as Johnson saw, was very amorphous, loose, not finished off or detailed as if it were rough emotion thrown into clay. 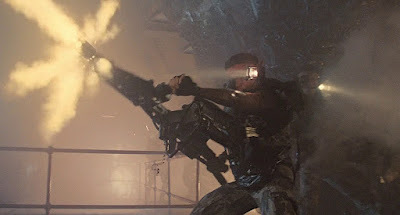 However according to Giger it got to a point where Cornelius De Fries had to defend Giger's designs at Boss Films, he saw that the designs were begin executed in a casual manner. 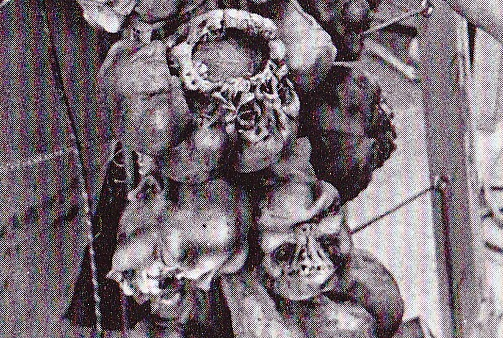 People were interpreting Giger's ghosts in their own way. 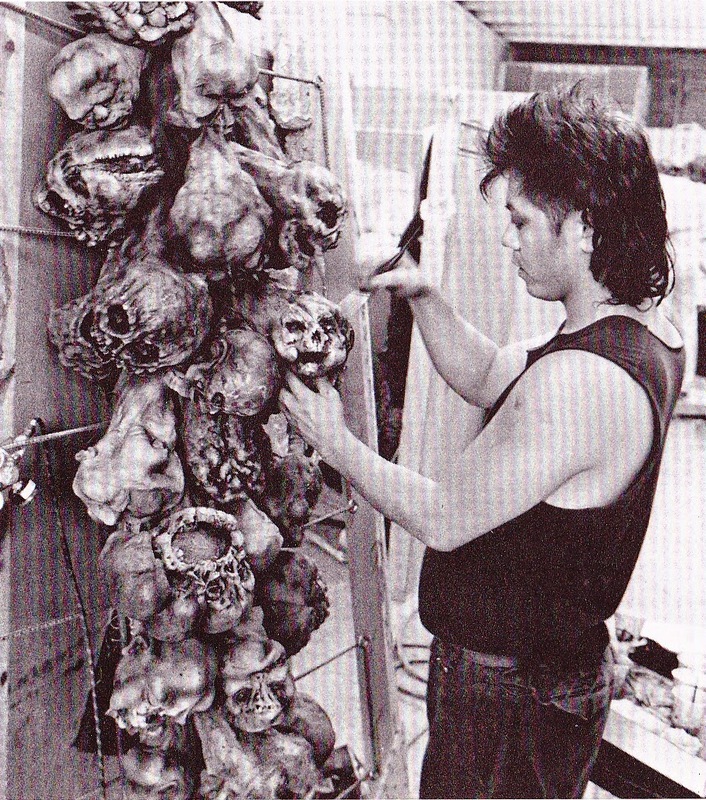 There was no money in the production to have Giger invited around to see the models or the shooting, and so in 1986, Giger visited the production at his own expense, Cornelius de Fries had announced his visit and had also told Giger that it was too late to change anything. Giger felt that he was conducting an unnecessary inspection. The entire Boss crew were present, and as Giger saw it, they wanted only one thing, to be praised and to hear no criticism. 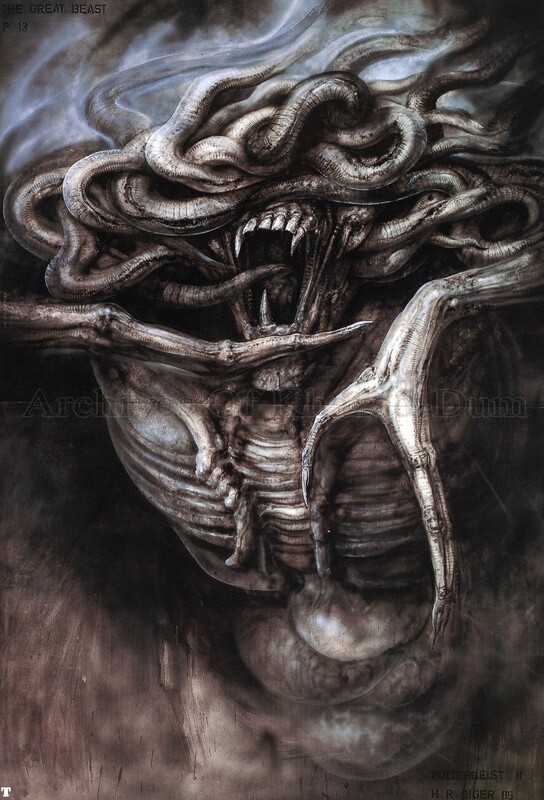 And so Giger did this accompanied by Richard Edlund and Cornelius De Fries, he praised everyone and gave them his blessing, it was all too late and he felt that he didn't want to ruin it for the people who had done a lot of work on the project. 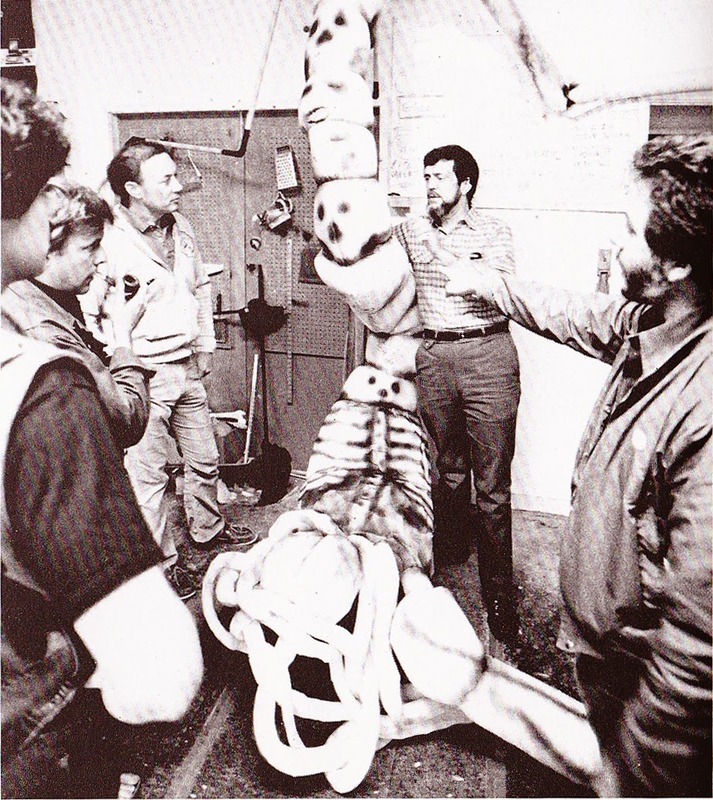 Giger would blame Richard Edlund's style that his employees had adopted and unwillingness to move into a new area and so the continuous disagreement between Richard Edlund and Giger over the years would begin from there. e) See also: Poltergeist 2 creatures' rib cage and spine influence on Alien3 beast? Stuart Land: Ah, it seems De Fries (I think he went by Conny) was a bigger jerk than I thought. What he and Giger said about the crew making the designs any way we liked is utter nonsense and an outright lie. 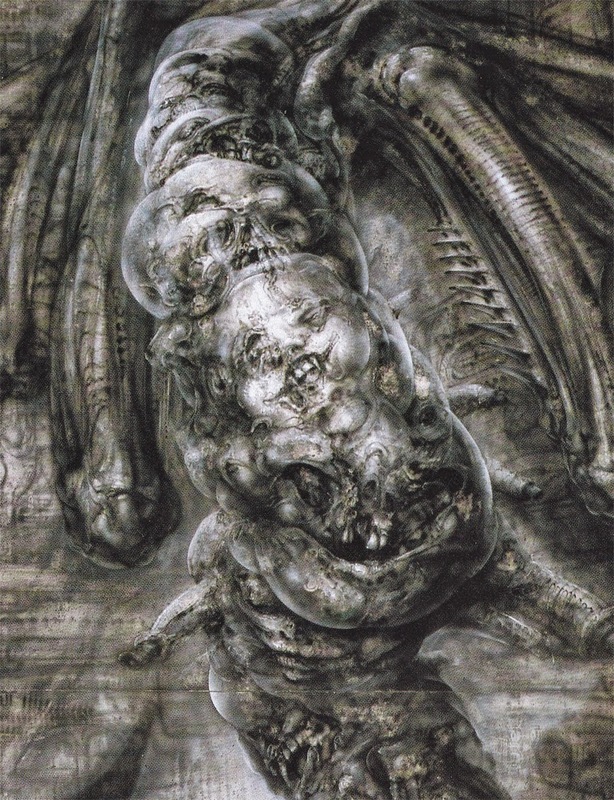 The very reason De Fries was there was to make sure we followed Giger's designs and that's what we did. 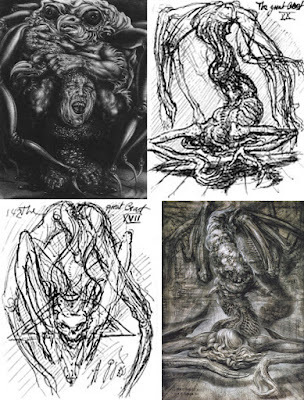 As you can see, the production drawings Giger gave us are great artwork, but leave much to the imagination, which is why it's great artwork. However, vague artwork needs to be interpreted. We had to do that on our own until De Fries arrived. If the designs came out wrong, it was his fault or because of design changes he approved. I sculpted the body of the Great Beast exactly how De Fries instructed. I didn't like it then, and I don't like it now. The quote above attributed to Giger is incorrect, and my fault for wording it wrong on my website. 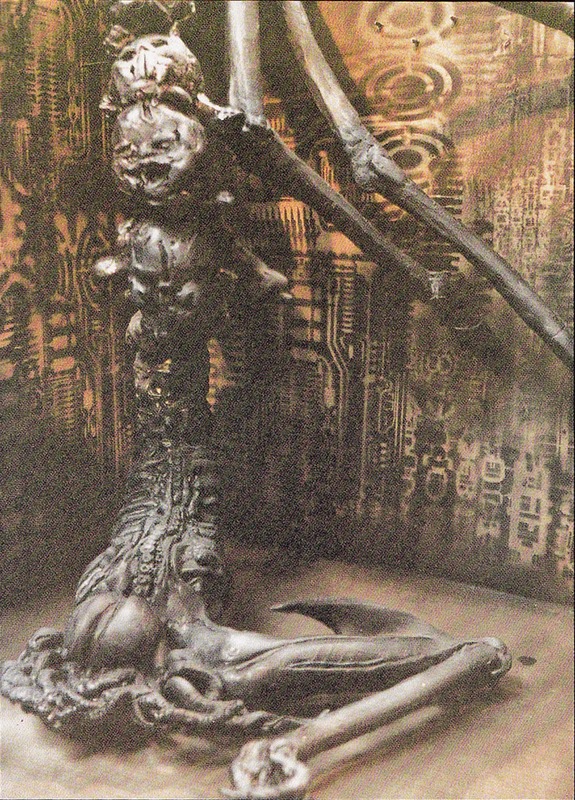 The quote is mine as my interpretation of what Giger wanted me to make. Everything pretty much had a sexual overtone to it, so it was my attempt on. CFQ:Why were you dissatisfied with Gibson's POLTERGEIST II? 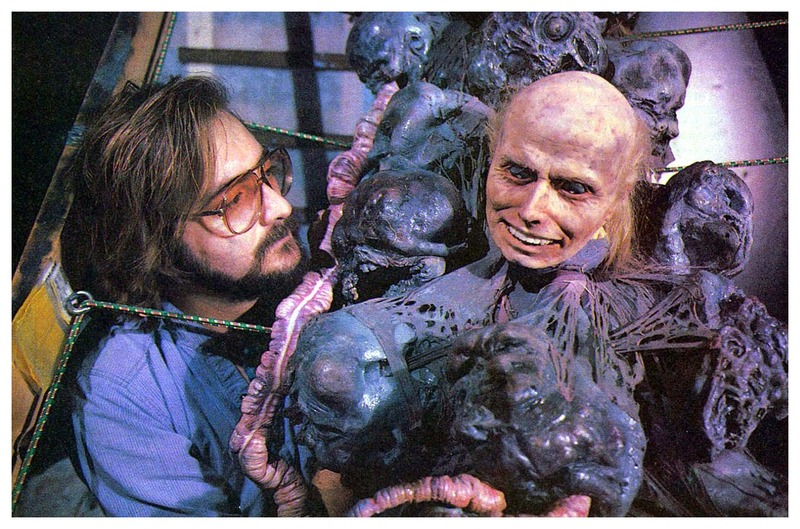 Giger: I got mixed-up in the wrong project. 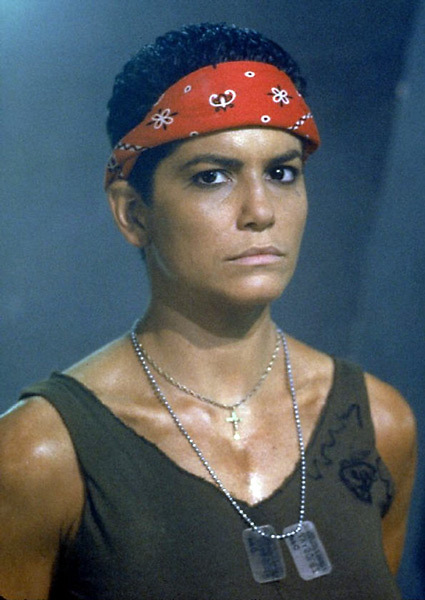 I started working on that film under a misrepresen- tation. I thought: they're going to make a film with a big budget, which will allow to a large degree the input of my own fantasies. The producers [Mark Victor and Michael Grais, who also wrote the screenplay] confirmed this feeling and gave me the impression that I would be able to create something really new for this film and that the script could be adjusted if need be. Unfortunately things went differently. They led me on and I was rather displeased by that. I ask myself: why don't they hire the same people who did the original? Why me? I only cause trouble because I'm not easily satisfied and I make bad publicity if I don't like the film. CFQ: For POLTERGEIST II you made drawings of The Reverend, as portrayed by the late Julian Beck. Why weren't these used? HR Giger: Originally the film was going to start with a scene in which The Reverend was to be discovered, sitting in the underground Cuesta Verde cave, sur- rounded by some of his followers. 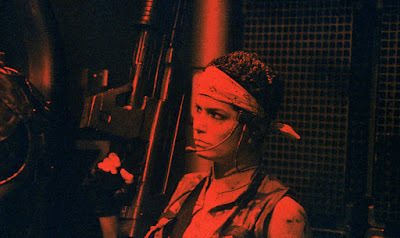 And I thought, in this film evil mostly stems from a worm. So I wanted to go along that line by showing two worm's tails protruding from the ears of The Reverend, thus marking the evil. I wanted them to retract the instant a light shined on them, like when you enter a hole with a pocket- torch and the animals who live there hide themselves—the devil retracting his horns, that was the idea. But in the film they turned it into scheisse, with a skeleton dropping some- thing from its mouth. I described it all perfectly well in my drawings, but apparently they didn't understand or they didn't want to understand. The same goes for the hill in the cave, with those corpses of the Reverend's followers lying on it: you can't even see it properly! It was filmed much too dark! Besides it was very badly constructed. CFQ: Were you ever asked to attend the shooting or the construction of the models?